Here is the warning for you that you may lose your data while trying to run it on your device because it’s a beta version of the software and may contain bugs. As you get more close to the release date which is September 17, 2018 the public beta version of iOS gets bug free and more safe to install. There can be a major downside to install this pre-release version so early: it can break your iPad or iPhone. So you have to select your non-personal device to run this version and there will be no chances of losing primary data. it is for the better cause that not only you won’t lose anything necessary and if something goes wrong while installing the beta version, your personal device would remain save. It is also mean that if you do not like the latest version you will always have a chance to not to upgrade your personal device. The fully upgraded version will arrive this year in late September, Is your iPhone compatible with iOS 12? 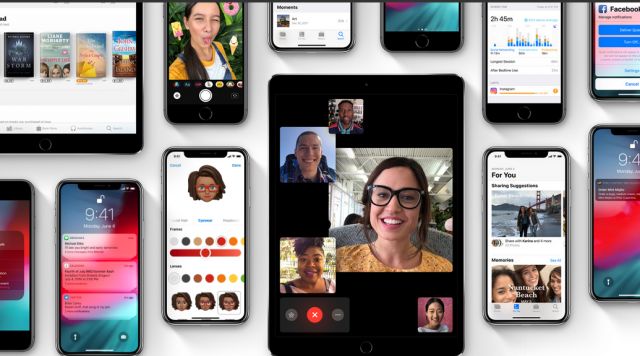 In this article, We would love to share how to take part in iOS 12 beta program, and how to install and run it on your Apple iPhone and iPad. Here is the step by step safe process which tells how to backup an iPhone and iPad and tells how to get registered and install iOS 12 beta. It is a risky operation but getting latest version will buy you fame amongst your Apple-loving circle and you will have an edge of liking the iOS 12 new features or not, so it can be a price worth paying. Press Command-Comma to open Preferences. (Or go to iTunes in the menu bar and click on Preferences. Go to beta.apple.com on your iPhone or iPad you want to enroll in the beta. Enter your Apple id email address, password and Tap Sign in. On the next page scroll-down and click the Download Profile button to install a configuration profile. Allow and install this configuration, Follow the on-screen instructions. Once you’re signed up and signed in, it’s time to start downloading. To install the iOS 12 beta, you’ll need to visit Software Update on your iPhone or iPad. Launch Settings app from your Home screen, tap on General, then tap on Software Update. Once the update appears, tap on Download and Install. It’s required that your device battery should be charged at least 50% to download and install the updates. If you still need any help to install iOS 12, please leave a comment below.